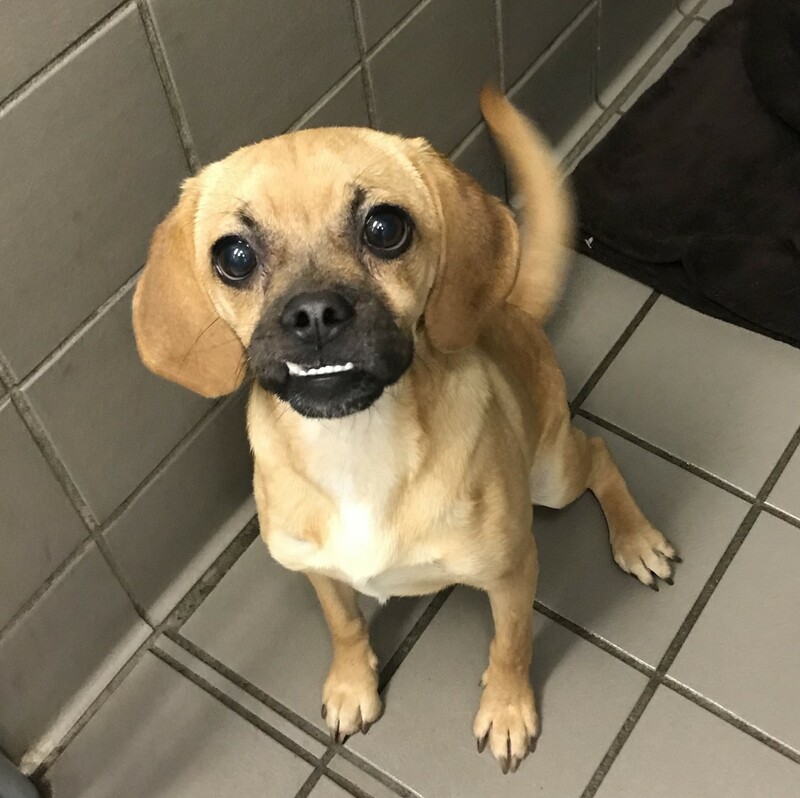 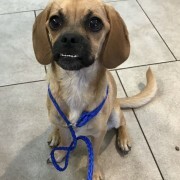 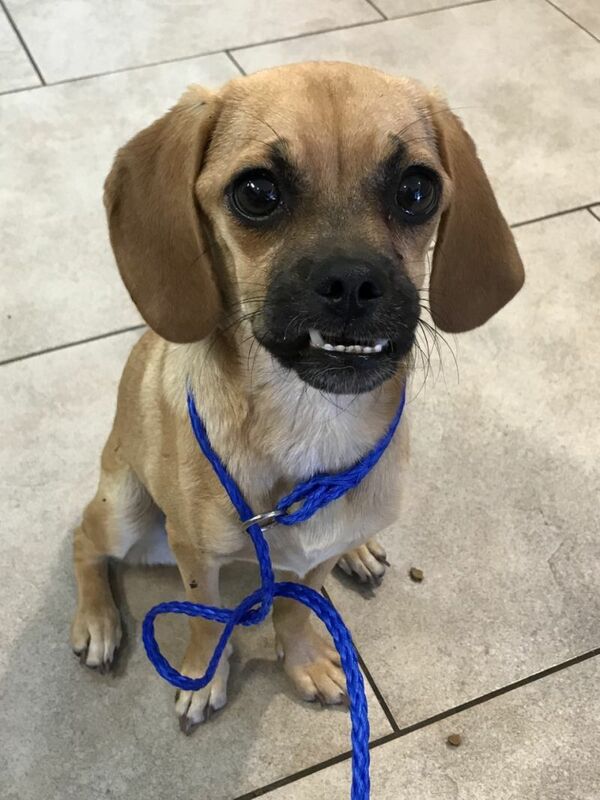 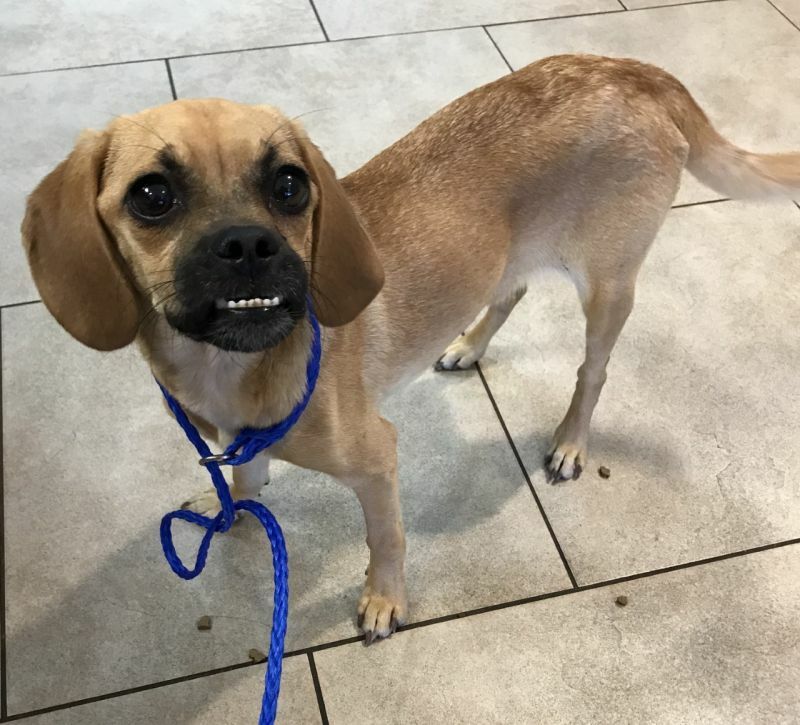 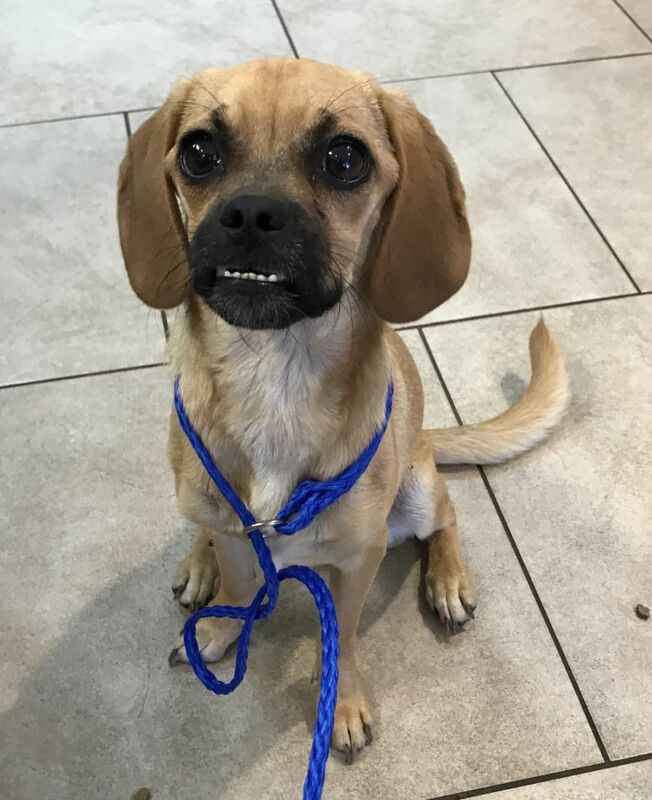 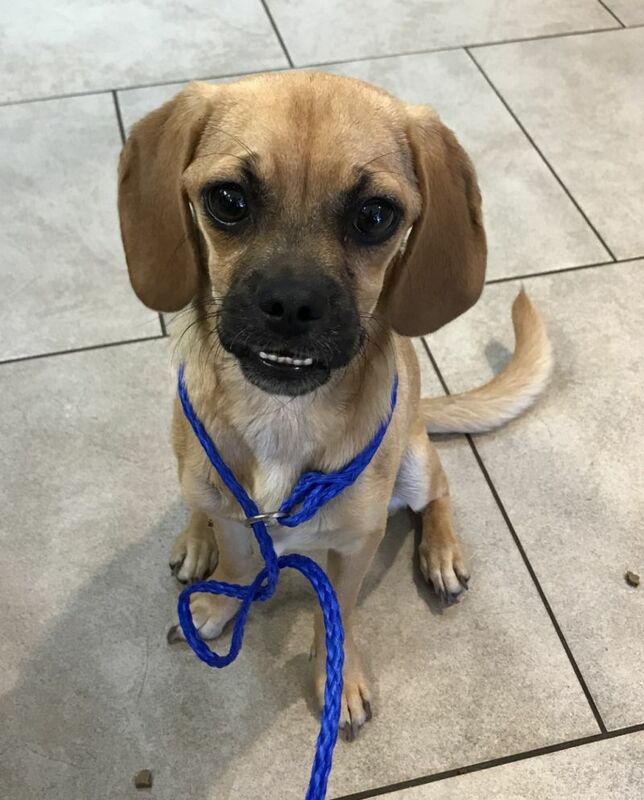 Chella is a female puggle born around 1/2018, a sweet little girl with a precious underbite and a wagging tail. 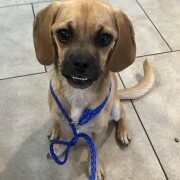 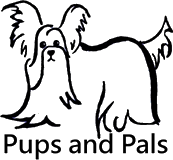 Chella is happy to meet new people and makes friends easily. 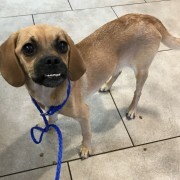 She is around 15 lbs and a really good size. This pup was left at the shelter by her owners with a rectal prolapse. 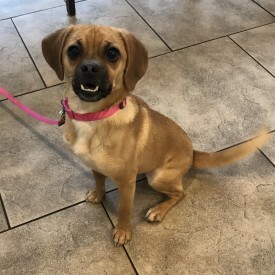 She had surgery on 9/17/18 and has fully recovered. 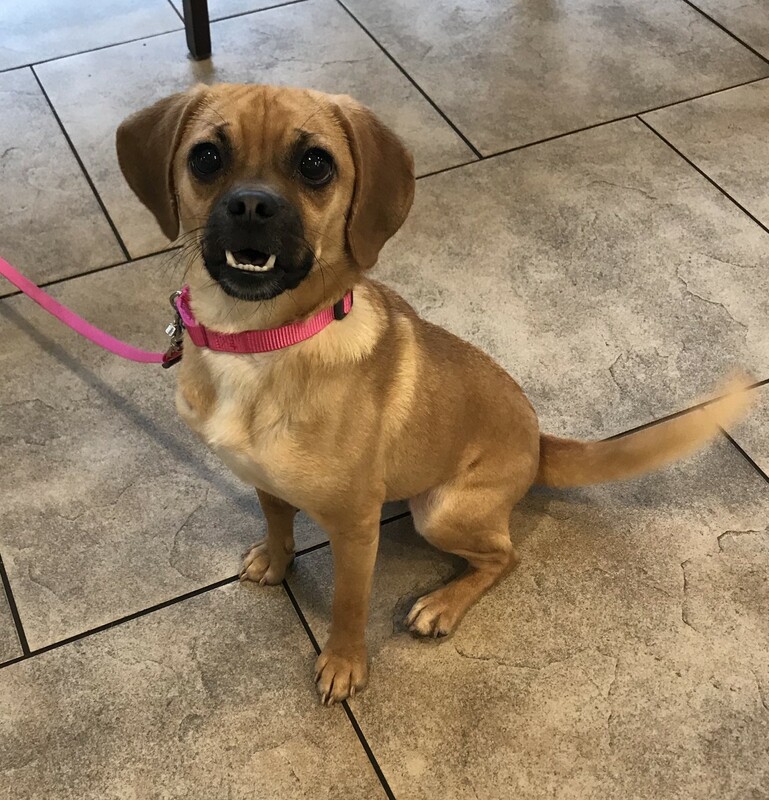 She has a somewhat sensitive stomach and she may have to continue on special food indefinitely, but its readily available at most vet offices. 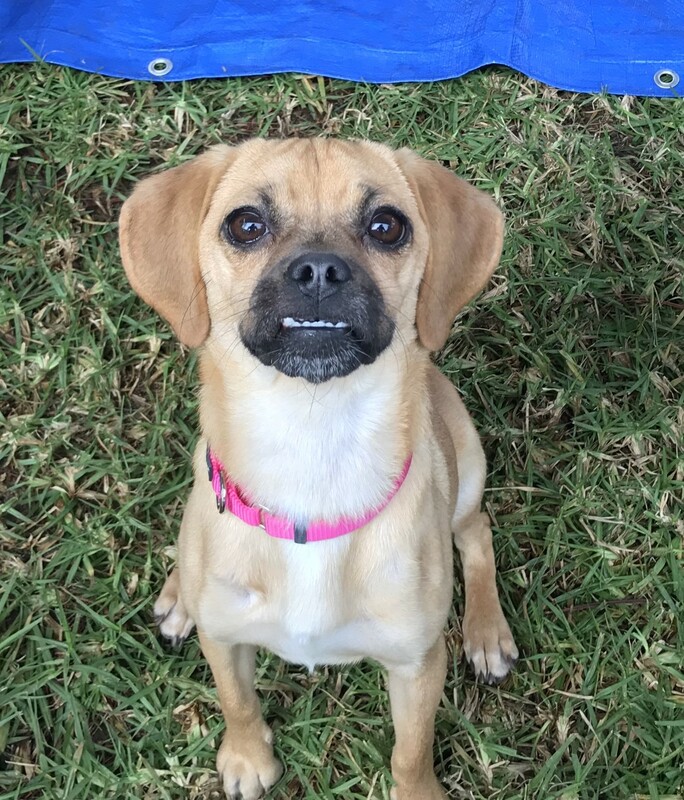 Chella is an unusually sweet, girl and will make some owner very happy. 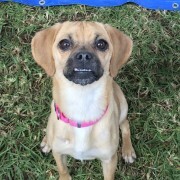 She is active and loves roughhousing with all other dogs. 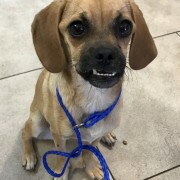 She would do great with older kids as long as they know not to feed her table scraps.